As I have said before, I meet the most wonderful people in quilting classes, many of whom turn out to be my best friends — friends that last a lifetime! Such was the case when I met Janice Schindeler, at Quilting Adventures in Kerrville, TX, back in 2009. It was clear from the beginning that Janice marched to her own drummer! And, I surely did love the tune that she tapped out. 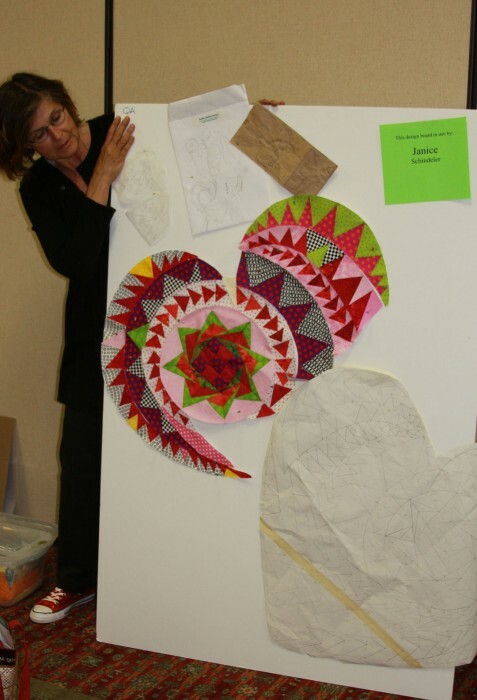 Below is her quilt from that five day workshop. Her use of colors, brilliant and bright, the strong contrast created by the blacks and whites, and the whimsy of the design all work together in Harry’s Heart Quilt. Janice confided that that she was making this quilt for her husband, Harry Crofton, to whom she had been married for more than 30 years. She obviously still remained quite enamored of this fellow! Above, she poses with her design in progress. Over the years, Janice and I have kept in touch. I’ve been to visit her and she’s been out to New Mexico. I also get to see her every year at International Quilt Festival in Houston, as she lives not far from downtown. Cupcake was her next endeavor, created for her daughter Elle, who is the light of Janice’s life! What could be more fitting? 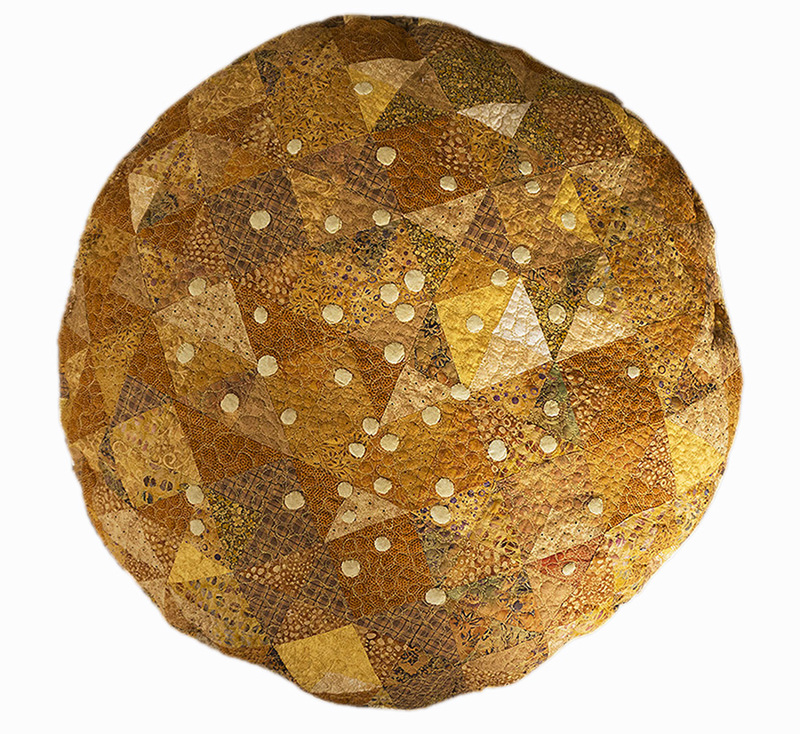 In her non-quilting life, Janice is a master chef, who sells her creations at Grower’s Markets in Houston. 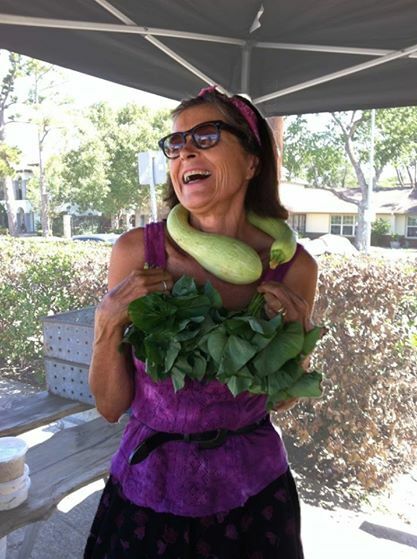 She also is a wicked gardener! 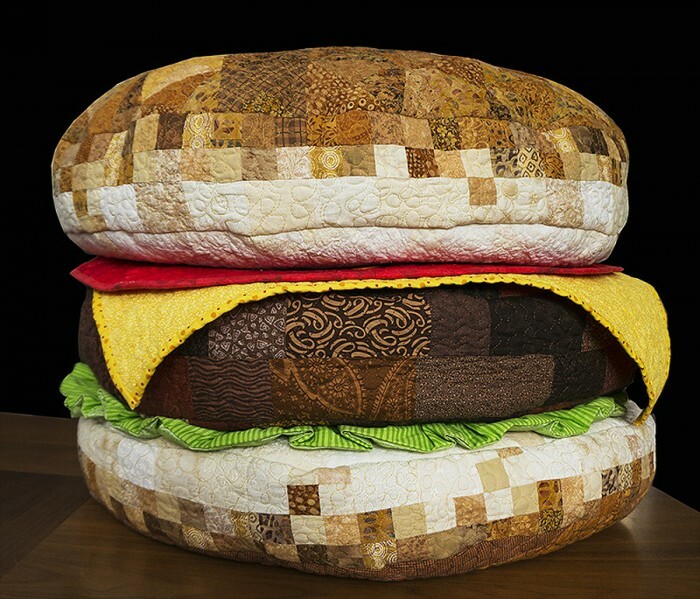 Next up for Janice was the Hamburger Quilt. She had been talking about making a three-dimensional quilt for a while and I was thrilled to see it on display at International Quilt Festival. Always with a keen eye to detail, the top of the burger bun is sprinkled with over-sized sesame seeds! Delicious! Most recently, Janice revisited the heart shape that had been at the beginning of our friendship! Here’s her latest venture into sentimentality. She hasn’t yet told me the story behind this little gem! I can’t wait to hear it. 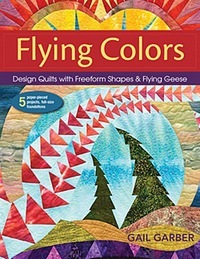 As always, Janice’s quilts are unique and colorful and they always make a statement. Lest you think that she only designs quilts in this style, she also is well known for her story quilts. I am so glad that we met those many years ago and look forward to our future adventures. 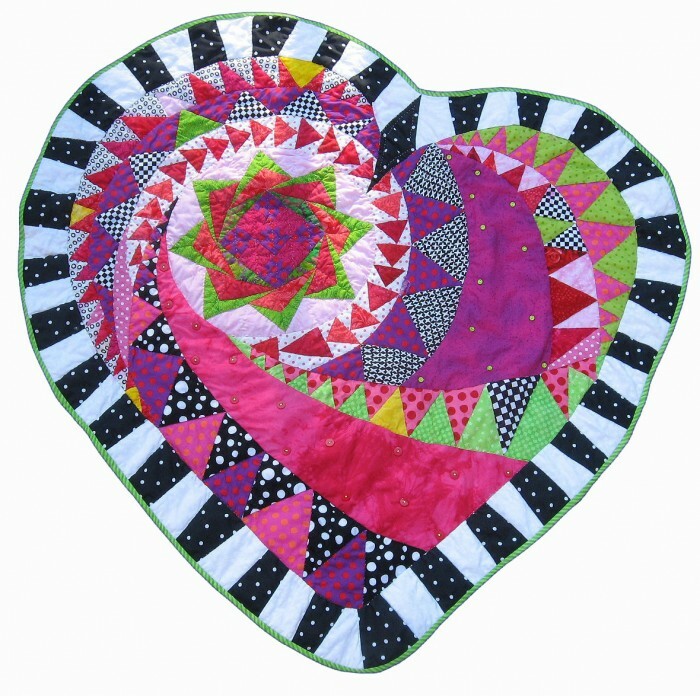 Janice’s heart quilts are beautiful! 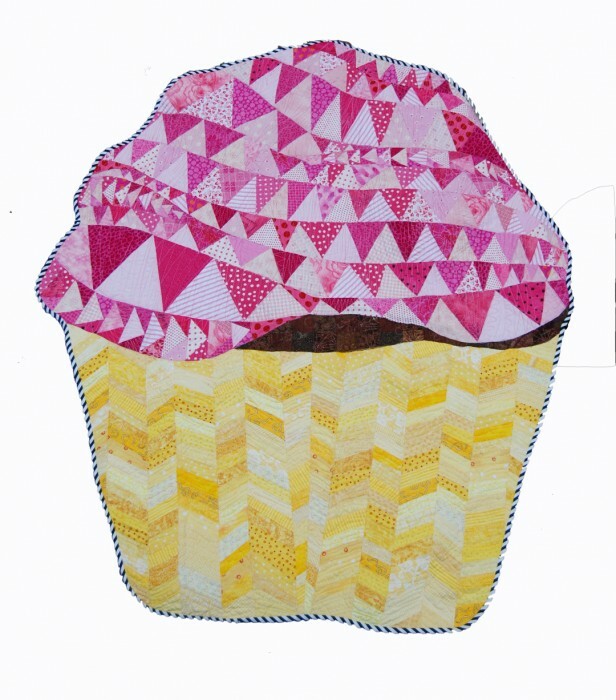 The hamburger quilt is a hoot! What fun designs! Thanks for sharing!! Thanks Lynnita for your comments. I think Janice has amazing talent and I am so glad that you agree. I just love the heart quilt! Is there a pattern online I can find to make one? Or does she have a book I can buy? I am so glad that you like this little heart quilt. I know that Janice will be pleased too! I have responded to you off-line with her contact information. 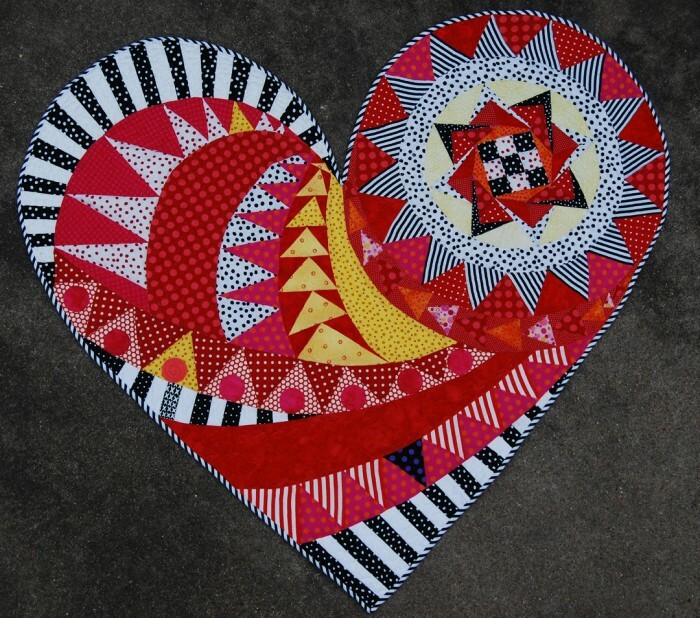 I am in love with Janice’s designs, and would REALLY love to make the second heart quilt. Is there any possibility she would sell her pattern? I’m on a mission to make at least two quilts for each holiday/season, so that each of my boys can have one someday. Sadly, there is no pattern for the heart. I know that Janice appreciates all the kind comments about her design. The hamburger quilt is so cute! Is there a pattern for it?